A comparative philosophical consideration of the extremes of humanism, or "Titanism," this book critiques trends in Eastern and Western philosophy and examines solutions to them. This work in comparative philosophy uses the concept of Titanism to critique certain trends in both Eastern and Western philosophy. 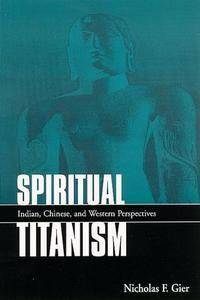 Titanism is an extreme form of humanism in which human beings take on divine attributes and prerogatives. The author finds the most explicit forms of spiritual Titanism in the Jaina, Samkhya, and Yoga traditions, where yogis claim powers and knowledge that in the West are only attributed to God. These philosophies are also radically dualistic, and liberation involves a complete transcendence of the body, society, and nature. Five types of spiritual Titanism are identified; and, in addition to this typology, a heuristic based on Nietzsche's three metamorphoses of camel, lion, and child is offered. 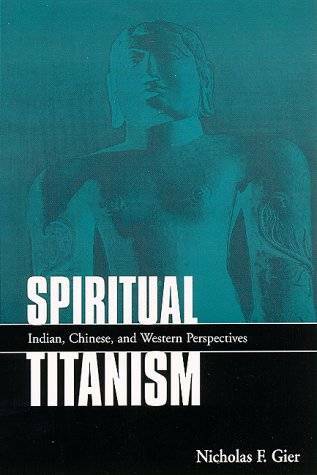 The book determines that answers to spiritual Titanism begin not only with the Hindu Goddess religion, but also are found in Buddhism, Confucianism, and Daoism, especially Zen Buddhism and Confucianism.